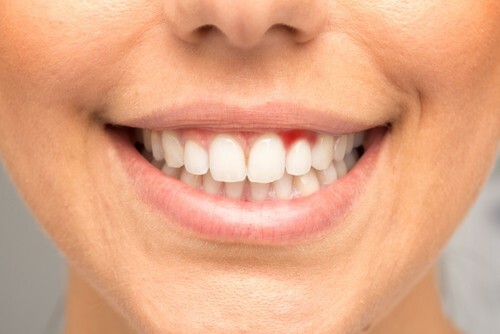 Periodontal or gum disease is one of the common oral health issues your holistic dentist Wilmington, DE sees on a regular basis Did you know that the Centers for Disease Control and Prevention (CDC) estimates that half of Americans over the age of 30 struggle with periodontal (gum) disease? That’s about 64.7 million people! The best way to combat gingivitis (early gum disease) and more advanced issues to catch it early. That’s why it’s important to talk with your dentist often and take extra special care of your teeth at home too. We can work together to create a treatment plan that usually involves some form of gum therapy in our Wilmington, DE holistic dental office, good oral hygiene at home, and a change in diet. Make sure you’re always maintaining a proper diet, especially one that’s able to support your immune system so that it stays healthy and strong. Even if you brush twice every single day and are super good about flossing, if you’re not eating the right foods, you can still get gum disease. Think of what you’re putting into your body as medicine or fuel to help your body operate at peak performance. Vitamin C – Scientists and doctors suggest that low vitamin C levels have been noted in patients with gum disease. The powerful vitamin does a great job at fighting disease-causing bacteria and hat low vitamin C levels have been noted in patients with gum disease. The powerful vitamin does a great job at fighting disease-causing bacteria and can help boost your gum regeneration levels. Because gum disease is an inflammatory disease that affects the soft and hard structures that support your teeth, it’s easy to see why many of these foods are known for their anti-inflammatory characteristics and benefits. Inflammation is usually the result of a bacterial infection, but there are many factors including genetics, smoking, lack of at-home dental care, diet, age, medications, and underlying health problems that can contribute to or worsen the signs and symptoms. Thank you for taking the time to learn more about how you can help combat gum disease and avoid it in the future by eating certain foods rich with strong vitamins. Like we said before, it’s important to catch gum disease early before it has a chance to damage your oral health, even causing tooth loss. Call your holistic dentist in Wilmington, today and let’s schedule a visit to talk.